Say no to the evil shopping malls this year, with their demented musak and too many people……enjoy a whole new type of Christmas shopping experience at LAURAS FRONT ROOM!. 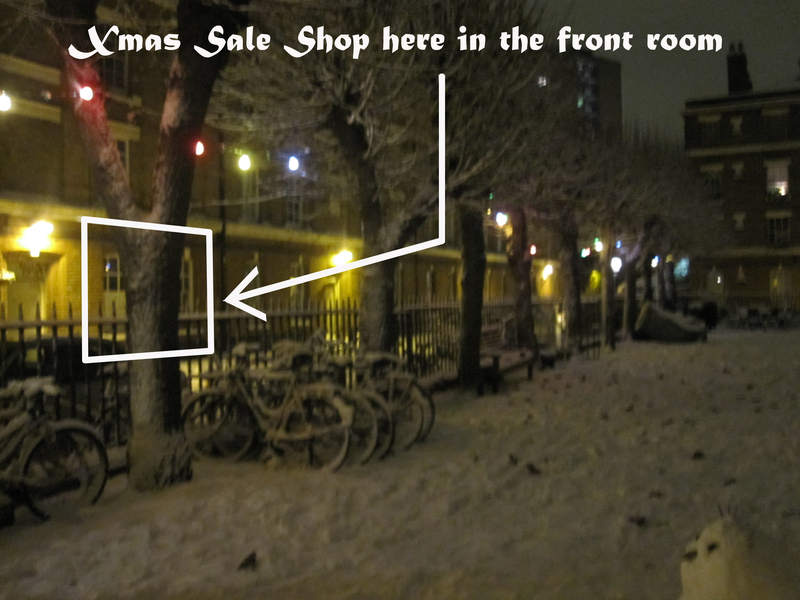 Yes, my crafty next door neighbor is being very courageous and ingenious by turning her front room into a shop for 2 days this weekend (10th +11th Dec). 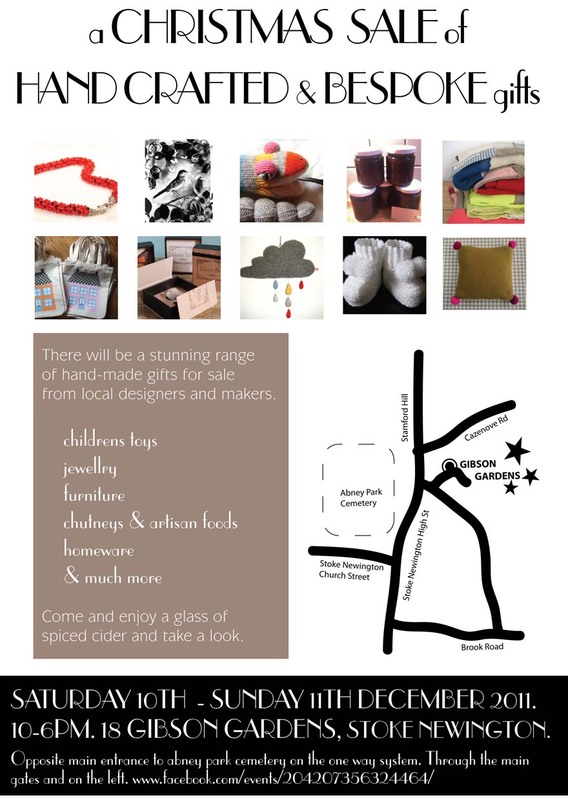 With 15 different designers involved, it will be stocked to the ceiling with great gift ideas, and FREE MULLED CIDER!, and very cosy indeed. 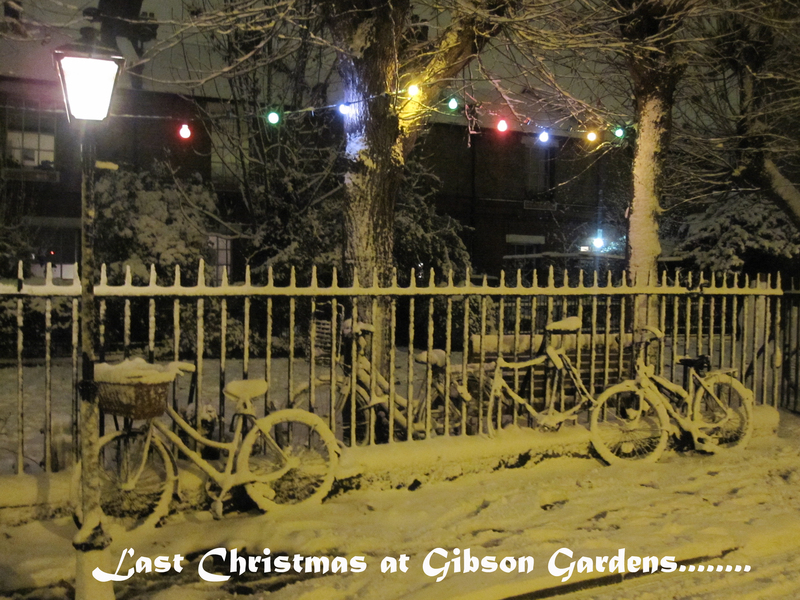 The location is just around the corner from the junction of Stoke Newington Church St, and High St at the picturesque Gibson Gardens, come along and spread the word!